Here it is! My first LDS Blog Train!! I'm pretty new to the blogging world and still getting things figured out, but I hope you like my portion of the kit :). The link for the download is located just below the preview picture! Happy Train Ride! Here's the links to the other members of the trains! Be sure to check everyone out, there is some great stuff! Great job! Love the dog and the plaid. Thanks!! Very cute - but i'm not sure any program i have will open this file. What protocol do you use for zipping folders? You did great, I love this thank you! Thank you everyone! Great to recieve feedback. Jayleigh3, I use Winzip for my files, both to zip and unzip. I've never tried any of the other programs, so not sure how the interchange with each other. If you're having issues, let me know, and I'll get you an unzipped file by e-mail. I love it, thank you for this beautiful part! 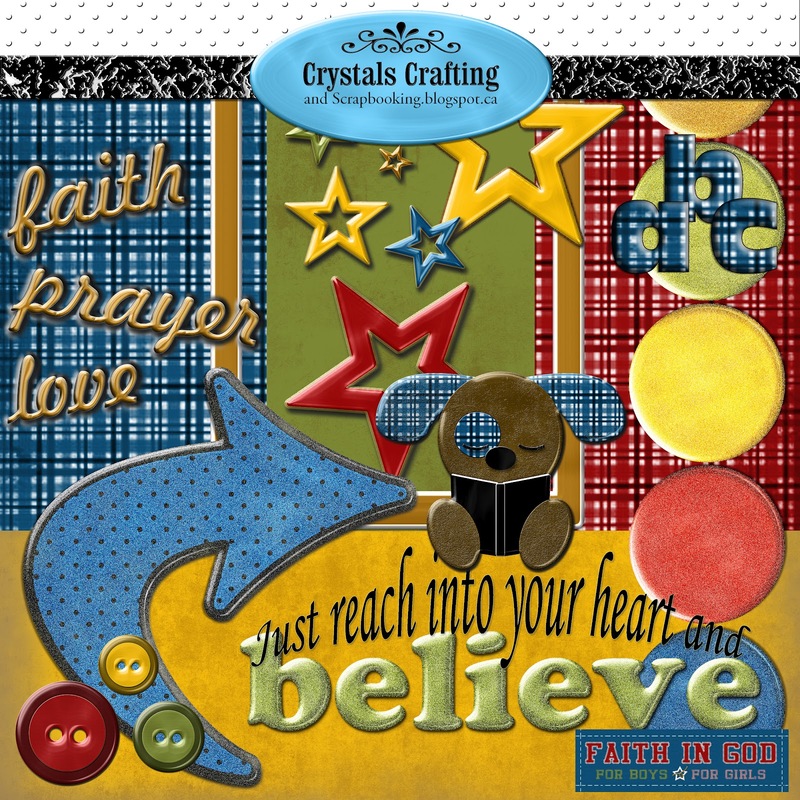 What a great kit - I especially love the "believe" wordart! Thank you for sharing .. this is wonderful!! To see the items available for purchase or free, please click on Store or Free in the menu below. Thank You! I am a proud Mom of one energetic little boy. I am located in Saskatchewan, Canada. I began scrapbooking around 2002, fell in love with it, and can't imagine not having this passion in my life. Please note the TOU, products are for Personal Use. Watermark theme. Powered by Blogger.